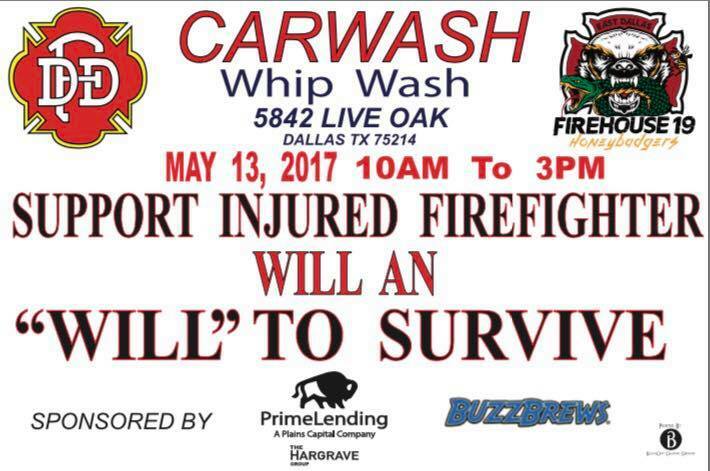 Firefighters will wash cars in East Dallas this weekend to raise money for William An and his family. The Dallas firefighter-paramedic wounded in last week’s shooting in Old East Dallas is conscious and on the mend, but likely has a long and expensive recovery ahead. On Saturday, firefighters from Station 19 will help raise money for William An and his family with a car wash at the Whip Wash at 5842 Live Oak St. You can also donate directly at this GoFundMe. Everything raised will benefit An, his pregnant wife, and three-year-old son. If you or your business want to help with the car wash, contact Erik Hargrave of the Hargrave Group at 214-244-9651. The other surviving victim of the shooting, identified by Channel 8 as Luis Galo Amaro, also has a GoFundMe set up to help with medical costs.